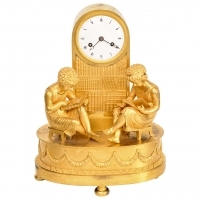 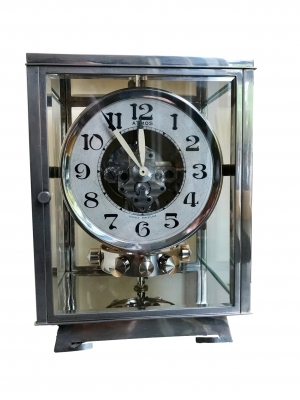 M233 Nickel plated art deco J. L. Reutter four-glass Atmos clock. 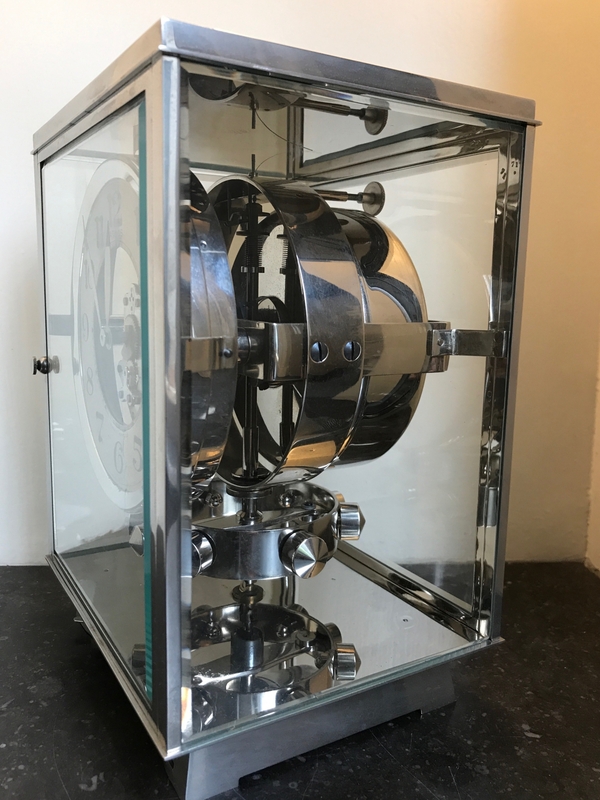 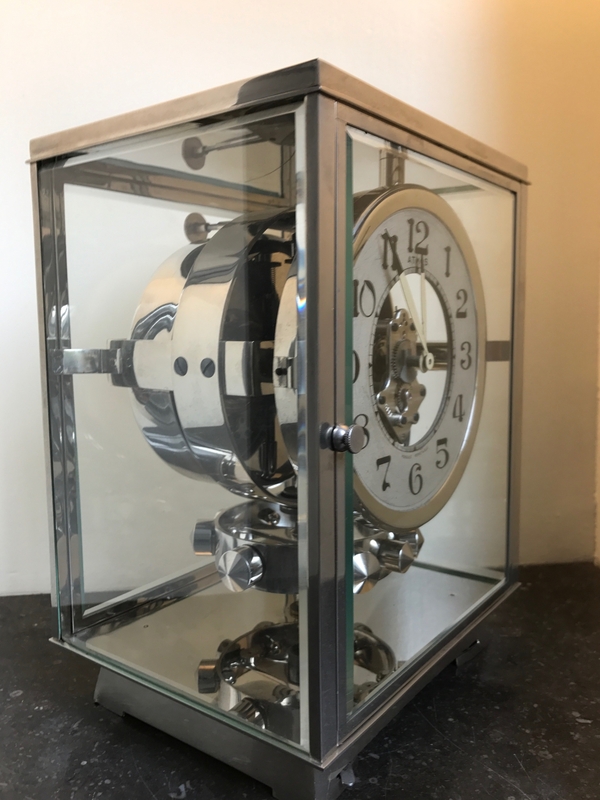 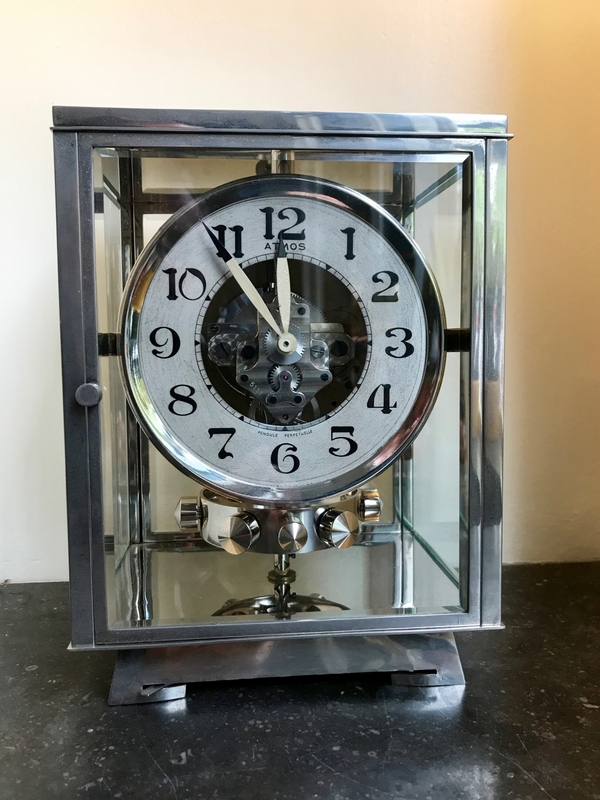 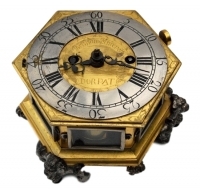 An early 1930's Nickel plated art deco J. L. Reutter four-glass Atmos clock, the substantial nickel plated four-glass case in an Art-Deco style containing a signed dial with Arabic numerals and painted dagger hands, the dial signed Atmos Pendule Perpétuelle. 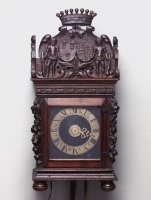 Made In France, numbered 6429, the condition of this clock is nice original!